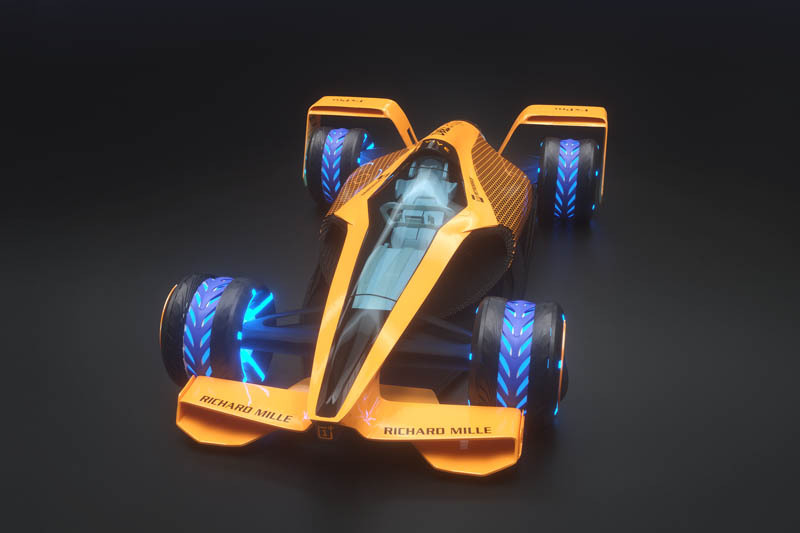 McLaren Applied Technologies has today unveiled Future Grand Prix, an audacious and exciting vision of how motorsport could operate in 2050 when technologies such as Artificial Intelligence, autonomy, electrification and mixed reality become commonplace in society. 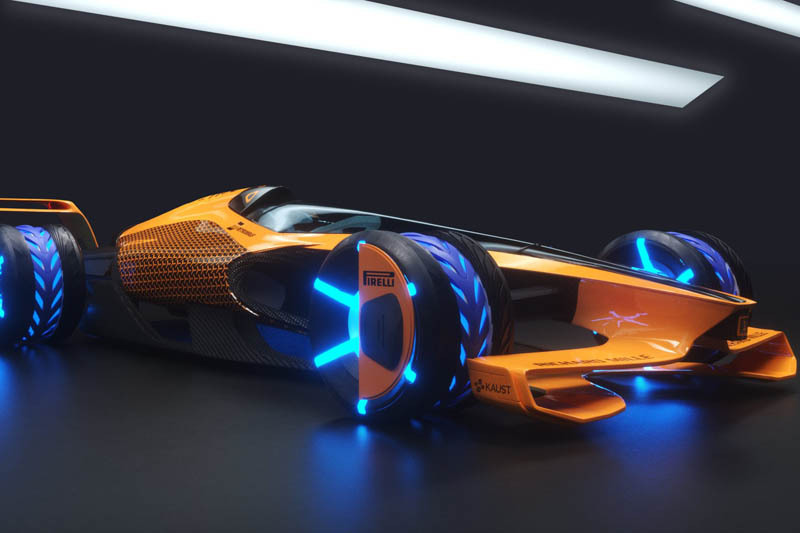 There have already been exciting concepts of how a Formula 1 car could look and operate in the future, such as McLaren's own MP4-X, but nobody has ever set out their vision for just how grand prix racing will exist far into the future, exploring the future of the cars, drivers, tracks and fan engagement. McLaren Applied Technologies conducted extensive research to extract insight, which included speaking to fans and studying fan surveys, as well as analysing technological, economic, environmental, political, and societal trends. The concept was developed by looking in detail at the direction of international policy on vehicle electrification and emissions targets, the development in human and automotive technology, the potential emergence of rapidly growing economies, and the need to attract a more diverse and engaged fan base. Alongside its own analysis, McLaren Applied Technologies undertook a series of workshops with MA and PhD students from top universities to delve deeper into the research, and to envisage how motorsport might respond to future scenarios, and synthesised a huge range of possibilities down to a single set of concepts that existed across a fan's experience. A race car (MCLExtreme) founded upon technical insight, and features a 500 km/h rear-wheel-drive electric powertrain, high density foldable battery moulded to the aerodynamic package, shape-shifting active aerodynamics, on-board AI co-pilot and self-healing tyres. 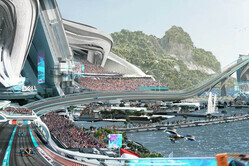 The race circuit of the future. Longer and wider with huge sidewinding banks, E-pitlanes for charging, transparent roof facilities for fans to get as close to the action, tracks that are adaptable to extreme weather and black-out zones with no communication or AI assistance for the driver. The driver for 2050 including, a reinforced g-suit to deal with extreme high speeds, AI co-piloting to learn driver behavior and aid during a race, driver emotion to be reflected on the chassis of the car and performance actuated on cognition, emotion, and physiological response. 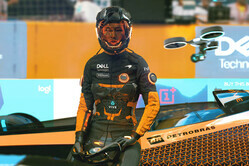 The next generation fan experience including fan sentiment being projected in the cockpit of the car, mixed reality giving fans access to multiple camera angles and race data. Esports competitors can compete in the race virtually, in real-time. Gamers can also race the track before grands prix to teach the AI new race strategies. "At McLaren we never stand still," says Rodi Basso, Motorsport Director of McLaren Applied Technologies. "We are always looking to innovate to find the solution for tomorrow today. In recent years, we have seen concepts and ideas about how a Formula 1 car could look and operate in the future. However, this is the first time anyone has given detailed thought and insight into a viable vision of motorsport in the future. "This is a hugely exciting and thought-provoking vision. One that includes the views of fans, university students, McLaren's drivers and our talented team at McLaren Applied Technologies. 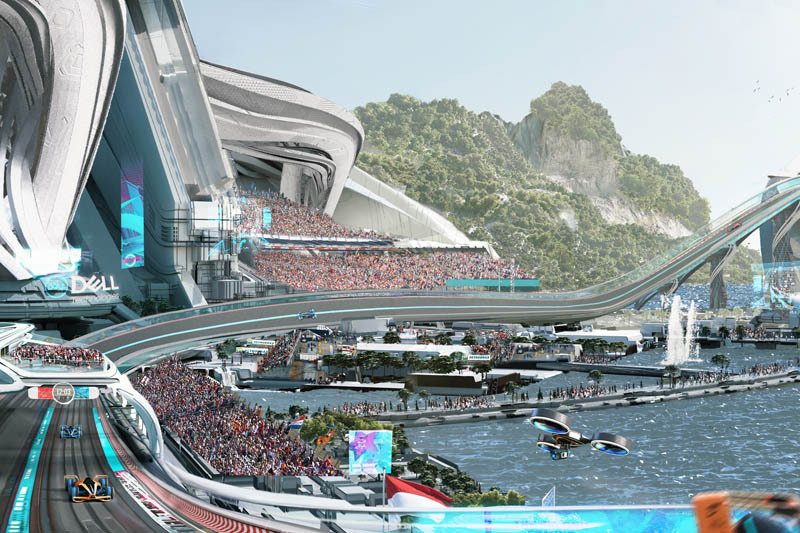 Our hope is for this to stimulate debate about how motorsport responds to changes in technology and sports entertainment trends to ensure we can meet the needs of fans in 2050." "That track looks expensive. Who's paying for that?" "Get shot of ZB all he’s done is blur the direction of the team and eat all the burgers." "I could not agree with rock doc more. I have been a McLaren fan my whole adult life. Get your engineering sorted and stop hanging around with the back markers. They seem to have so many other things going on and they just really need to Focus. Get shot of ZB all he’s done is blur the direction of the team and eat all the burgers. I was not really a Ron Fan but he would be going mad at this point and fixing the problems." "Typical McLaren these days, eyes everywhere but where they should be. If they want to still be in the sport in 2050 then they had better start to actual race again." Don’t tell me, when we are not looking that front wing suddenly sprouts all the multi layer appendages we have now. Just like a child’s ‘pop up book’. "I echo Malbec - thank goodness I won't be around." "It's a Hot Wheels track for robot drivers of Formula E cars. "Way an all electric car would need ventilated side pods that large? And way should I believe that the car is not driven by an humanoide? Quite frankly!" "It will all be virtual reality by then anyway!" "Notice they are still not expecting to have obtained a main sponsor by 2050! What is Zak’s speciality again?" "So, they just copied Syd Mead's designs and slapped a bunch of nonsensical descriptions? They should focus on racing instead of doing whatever else they're doing. Also, their "predictions" are a laugh." Alexandria Ocasia-Cortez' proclamation that the world will end in 12 years is solace to me now." "Thank goodness I won't be around in 2050! Surely after the dismal seasons McLaren has been having recently they should be putting the efforts of Applied Technologies into the present not far into the future." "But it's only two wheel drive!!!!"